Taxation - in human scale. Taxation, reduced to human scale. Take the cost of something government does, divide by the number of taxpayers, put big numbers into human-scales. 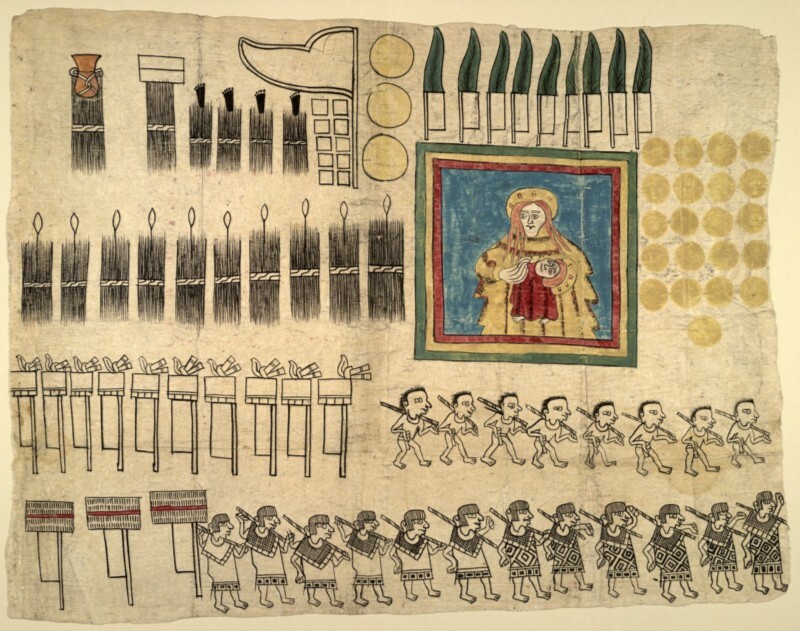 Huexotzinco Codex, 1531 (courtesy of WikiCommons) part of a legal document that resulted in the King of Spain returning 2/3rds of the taxes collected on the Nahua Indian people in the town of Huexotzinco. So, there are approximately 120 million US tax payers. Their income taxes are around 40% of all Federal income — and the payroll taxes paid by their employers represent another 40%. So if we take various large amounts of federal spending and divide it by 120,000,000 we can reduce these crazy large numbers to something we can understand at human scales. So, for example — funding for the NASA human spaceflight work is $6 billion over 5 years — and congress recently cut their $830 million budget to $560 million — which means that SpaceX won’t get enough funding to finish their space taxi until after the ISS gets so old it’ll have to be abandoned. Sounds like we saved a ton of money on that one! But reduce it to human scale (divide the numbers by 120 million) and it emerges that this project is costing me, personally, $50 over 5 years…which easily passes my “less than a cup of coffee per month” test. I’d prefer that the world had a successful commercial manned space program than I need that monthly caffeine fix. 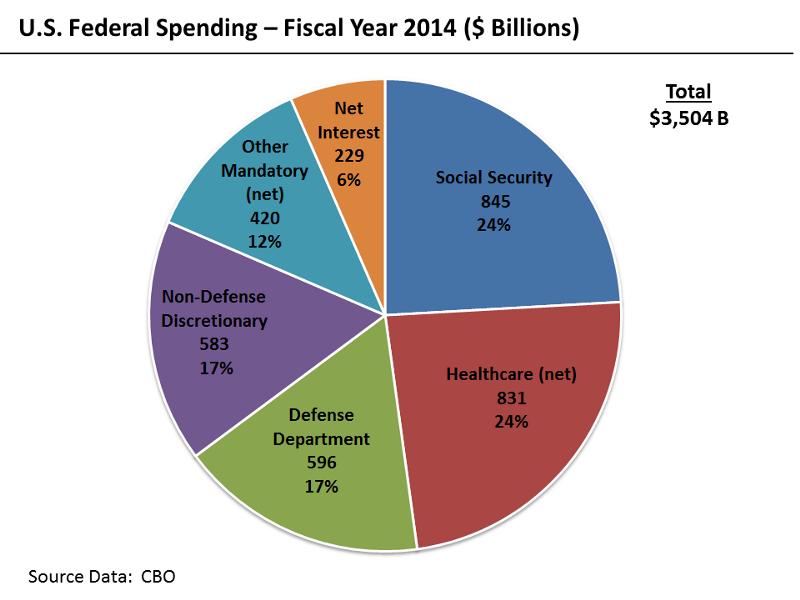 The total spending by our government is $3,504 billions…which is…holy crap! $29,200 of my money!! Ouch! But wait, only 40% of that is my income taxes — the rest is mostly paid by my employer in payroll taxes…so it’s only about $11,700 out of MY paycheck. $2,800 of my money goes into social security…about the same goes into healthcare…woaahhh — I spend $2,000 a year on the military! I spend $763 a year on interest payments on the debt we owe…and $3,343 on other “stuff”. “Other” stuff? Well, the “Mandatory” stuff is things like the departments of Agriculture, Education and Veterans Affairs…the “Discretionary” stuff is those mysterious and dubious-sounding earmarks, appropriations and pork. Evidently, I spend $766 per year of my money on “transportation” — kinda hope we can mend some potholes and fix the occasional collapsing bridge for that much. I think I might want to kick in a bit more for that. Hmmm…so what about Education? What’s that costing me? Well, $500 out of my income taxes…but also $2,300 (per taxpayer) in state funding and another $4,500 out of local taxes…so $7,300 a year. That sounds like a lot — but it costs $12,000 per year to educate a kid to US standards — so if you currently have even one child in school, this is a bargain! Of course if you don’t have kids…not so much so. Well I guess we really don’t want a bunch of uneducated people running around the place pushing up that $2,800 we spend on social security and reducing the number of tax payers so I’d be on the hook to pay a bigger share. So I guess the education bill isn’t so terrible. So what does the federal debt look like right now? $18.6 trillion…which means that my share of the debt is $155,000?! Yikes! That’s a mortgage! But evidently I’m paying interest on that mortgage at only $763 per *year*?! That’s like a tenth of what I’d be paying a bank on a 30 year mortgage. We’re never going to pay it off at this rate! So, businesses pay around $191 billion in income taxes…which means that they’re only contributing $636 compared to my $11,000 tax bill? That doesn’t sound fair. As a shortcut: A trillion dollars = $10,000 of your taxes — scary money, worry a lot about this! A billion dollars = $10 of your yearly taxes — so the odd few billions here and there isn’t so terrible — but hundreds of billions is something to pay attention to. Anything the government does that’s expressed in “millions” fails the “cost of a cup of coffee” test and may safely be ignored. Reader Forum: Taxation - in human scale.